Are the Medications You Take Contributing to Premature Bone Density Loss? Are the medications you are taking contributing to premature bone loss? And if so, what can you do about it? This past week I attended a class on Functional Strength Training for the Aging Spine taught by Shari Kalstein, a physical therapist and personal trainer. )Shari created a class, Fortify Your Frame for older adults and now teaches it to seniors in her practice in Florida The class I attended was modified for personal trainers and physical therapists to teach older adults how to safely exercise.). Her class was a very useful and informative class. She presented a LOT of material about bone density, the aging spine and exercises to help people strengthen their backs and cores as they age. Since we all age at one point, it was useful info for people of all ages. 1. Many people are vitamin D deficient, even in sunny Florida and don’t even know it. 2. Men can have osteoporosis and are not regularly tested until at least age 70, long after preventative measures could have been taken. Important facts for men about bone loss here. 3. 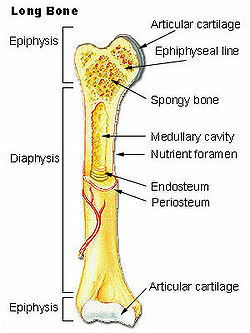 Many medications as well as soda pop consumption lead to bone density loss. I was surprised to see so many common medications listed as contributors to bone loss. I thought I’d share them with you as well as the link to the Osteoporosis Association website here. Below is a list of medicines that may cause bone loss. • Make sure you are getting enough calcium and vitamin D. If you are not sure, get blood work from your doctor and make sure he/she specifically checks your calcium and vitamin D levels. Even if you are ingesting food high in calcium, you may not be properly absorbing it. Supplementation may be required. • You need regular weight-bearing exercise to keep your bones healthy and strong. Walking is a great weight-bearing exercise you can do well into old age. And not on a treadmill–outdoors is best.